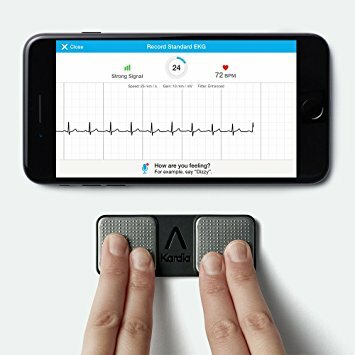 Meet the AliveCor Kardia: an app-enhanced ECG device that lets you monitor the rhythm of your heart on your iOS or Android phone. 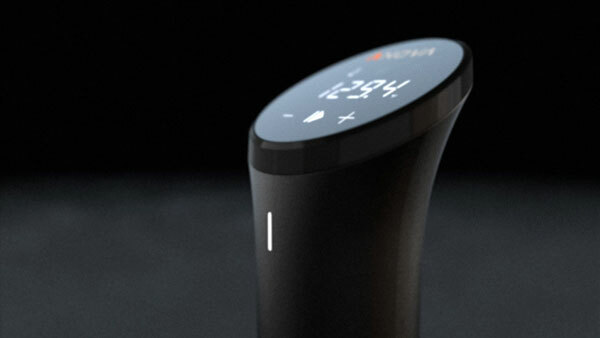 It captures medical-grade EKG in 30 seconds. You will know if your heart rhythm is not normal and can share data with your doctor. You can use voice memos to keep track of palpitations, shortness of breath, and other info. 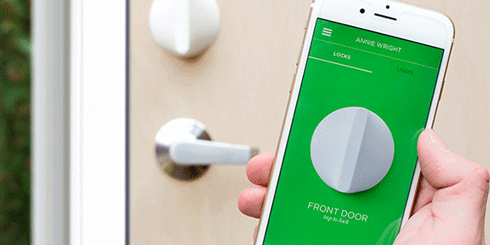 Kardia Mobile is smaller than a credit card and works with a wide variety of devices. Costs under $100.